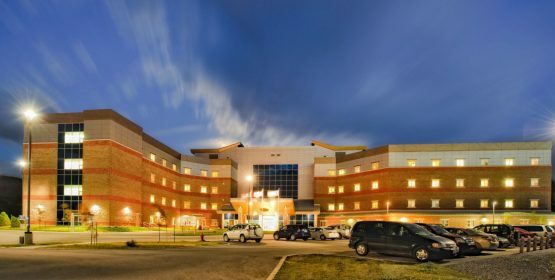 Located northwest of Newfoundland Island, the Corner Brook Long Term Health Care Facility offers more than 200 beds for patients. 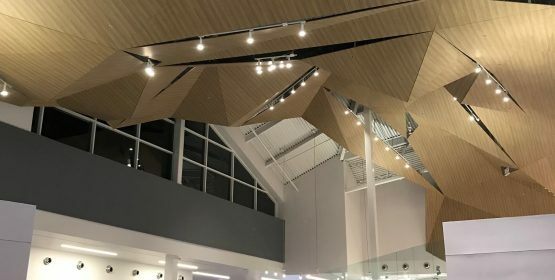 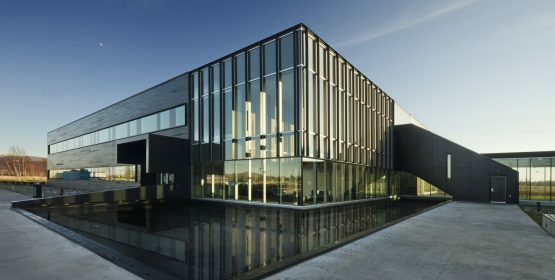 This LEED Silver certified building consists of four distinct wings of four floors each, connected to a five-storey central core. 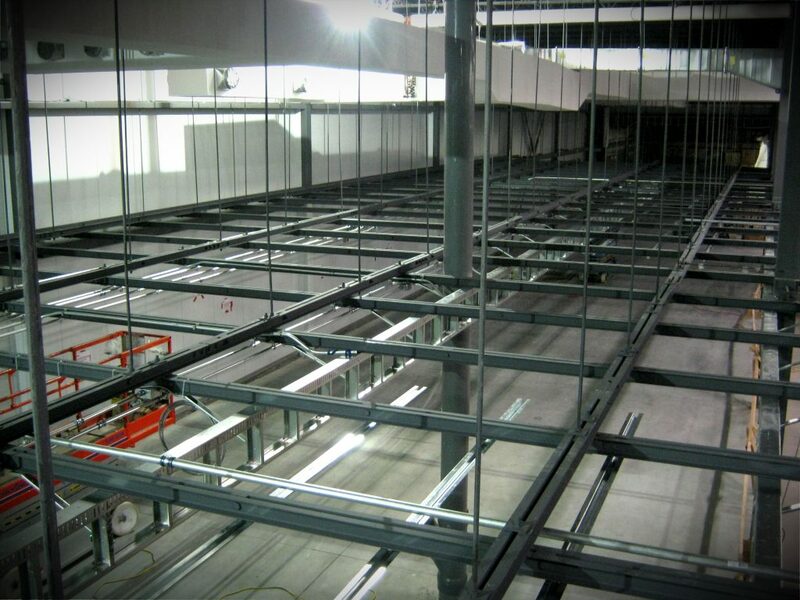 Additionally, there are two mechanical rooms at the penthouse above the central building. 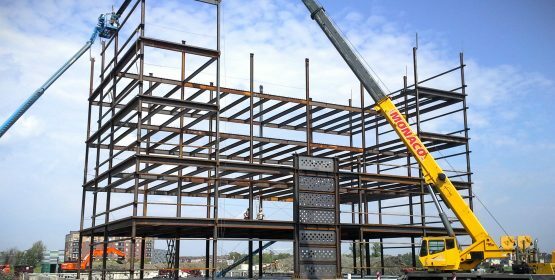 The design of this complex structure was carried out in coordination with the Newfoundland project team and realised on a tight schedule. 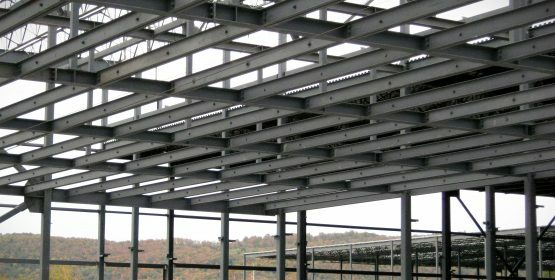 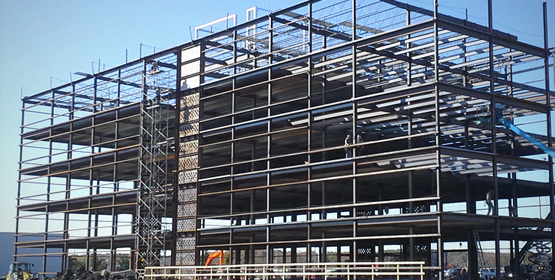 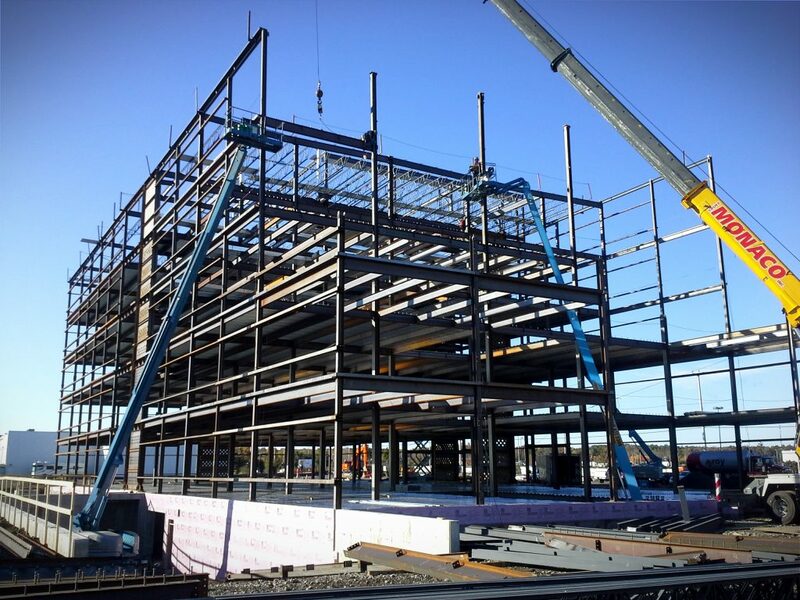 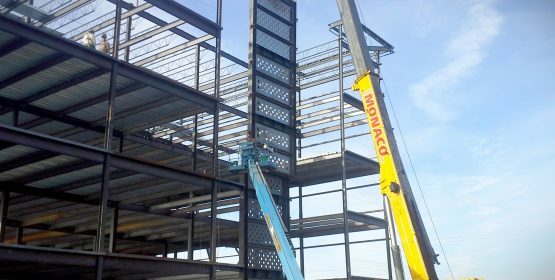 Lainco executed the design, manufacture and installation of the innovative steel structure of this 5-storey ambulatory service center. 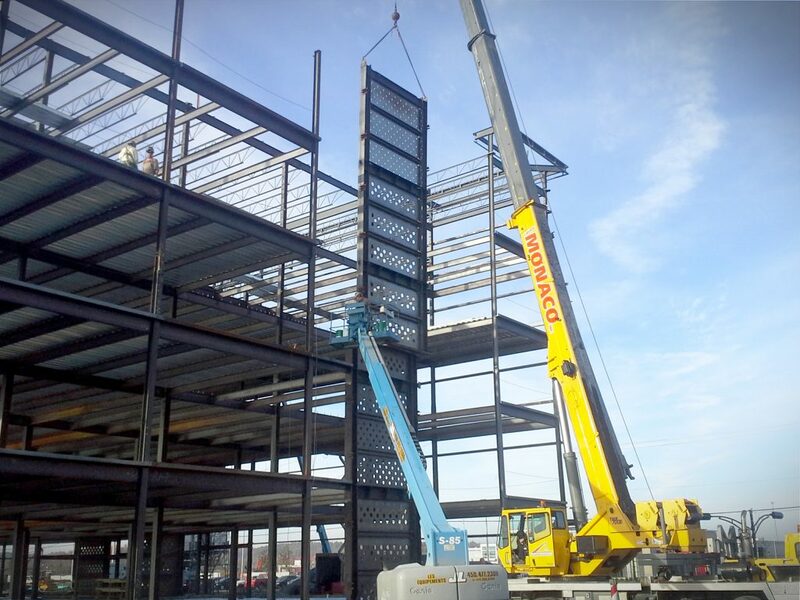 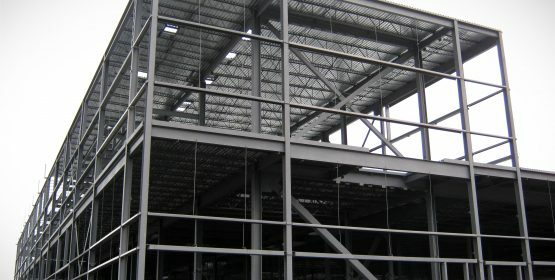 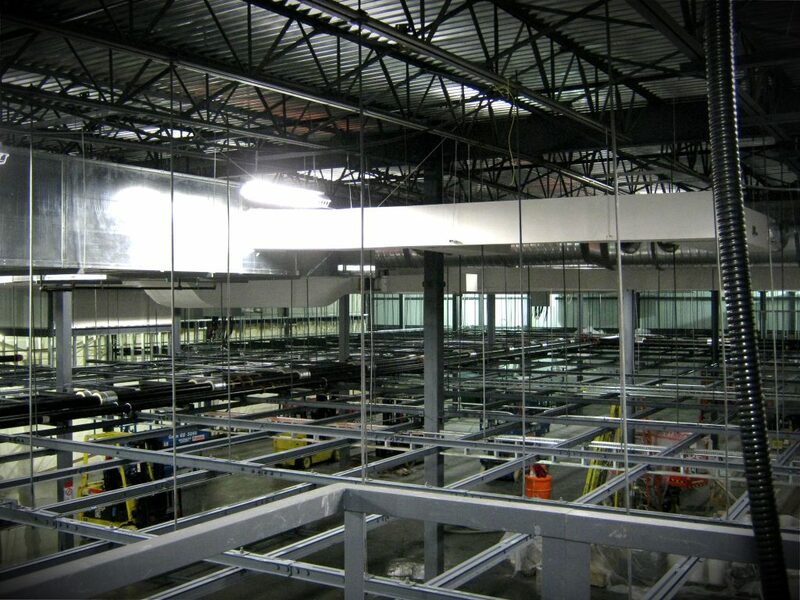 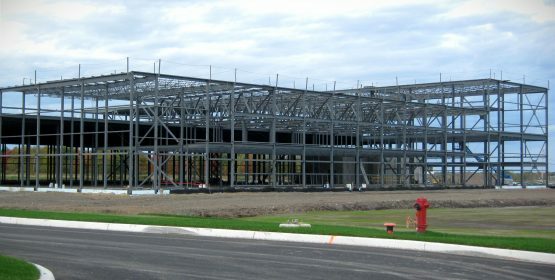 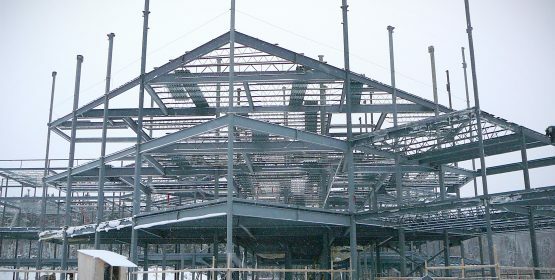 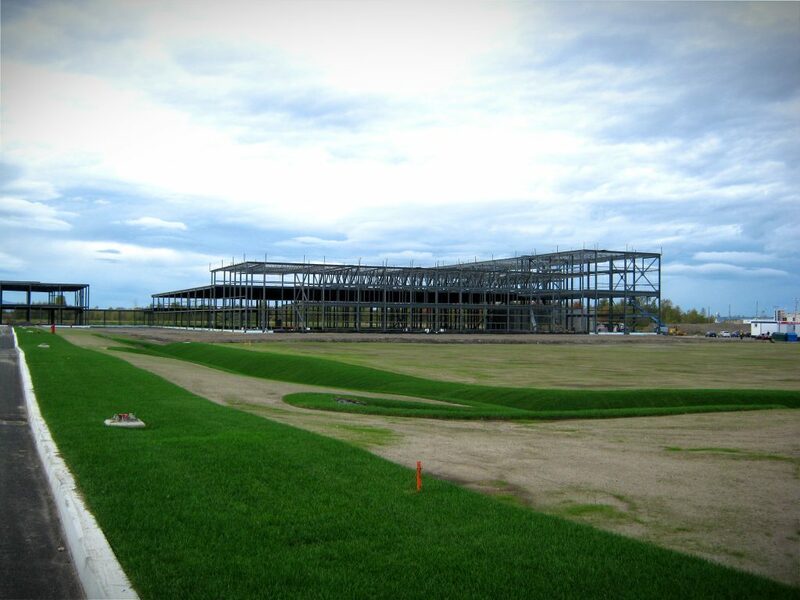 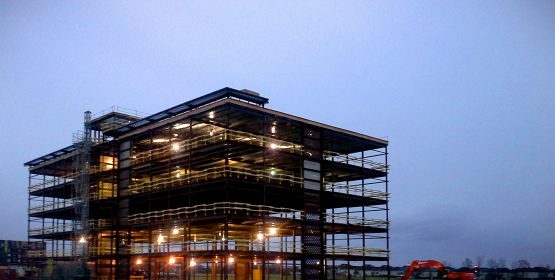 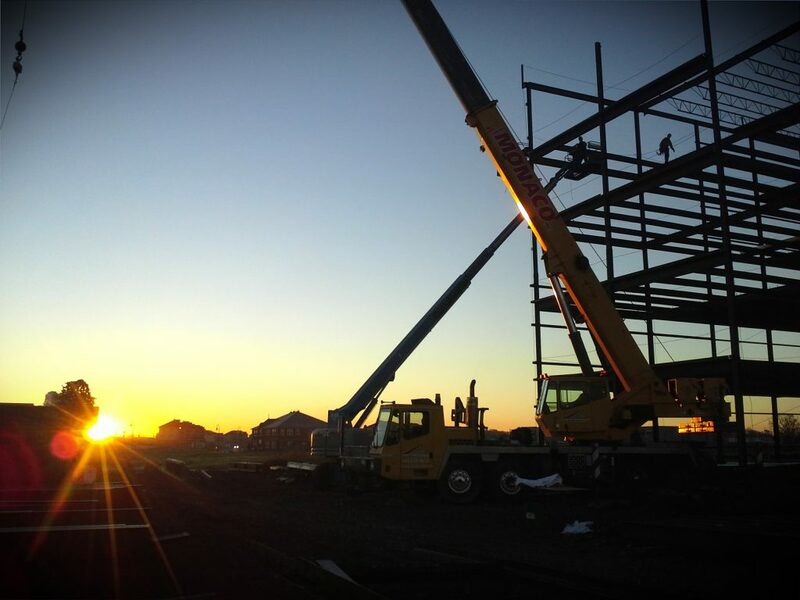 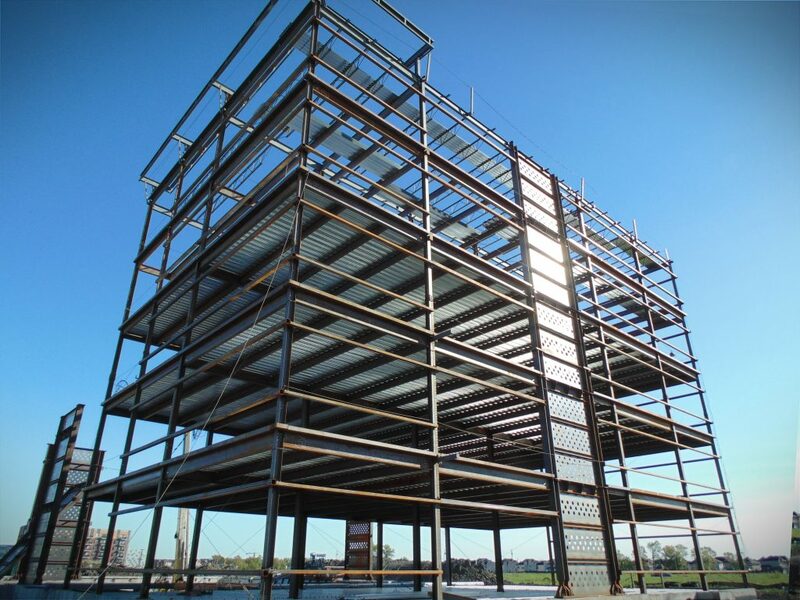 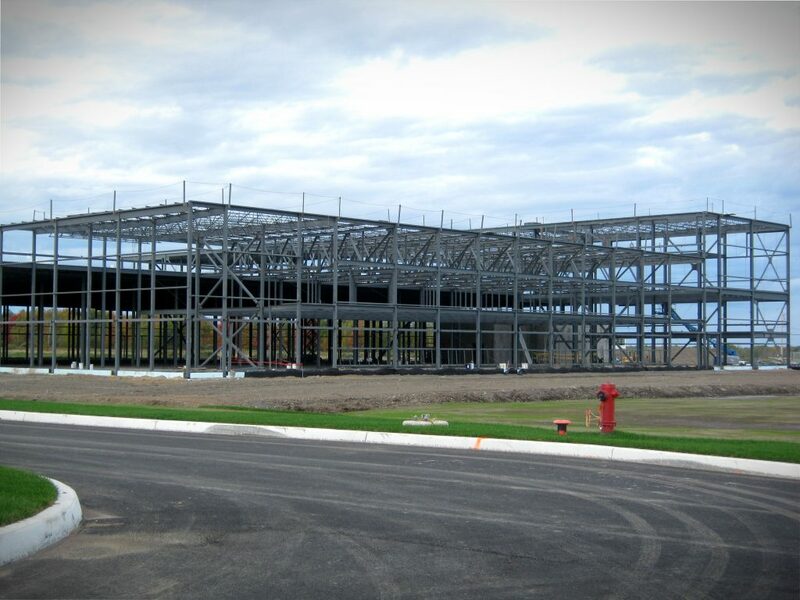 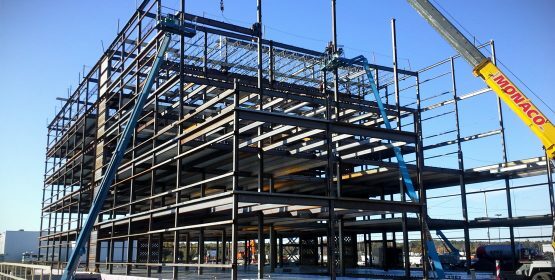 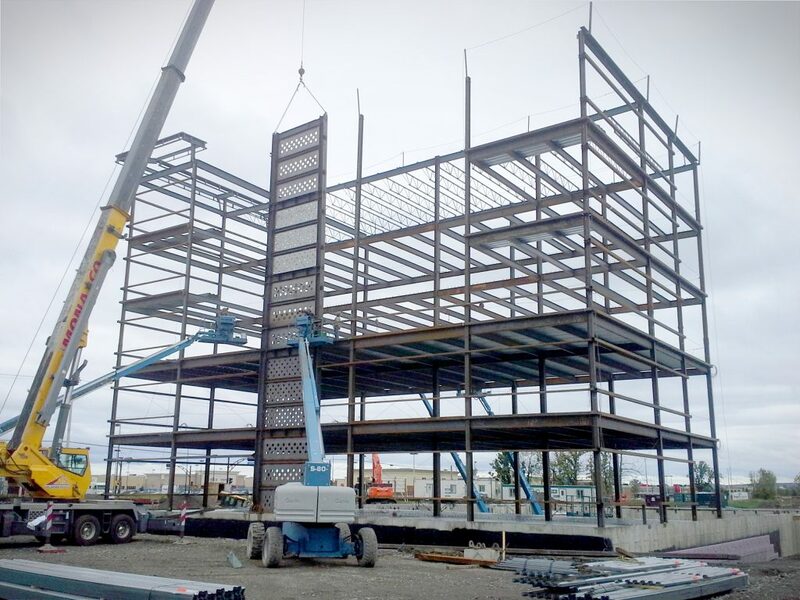 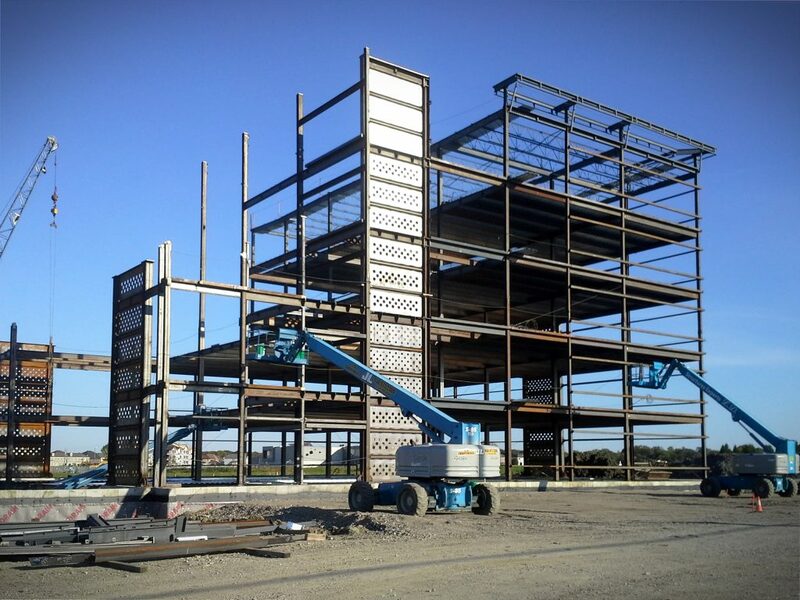 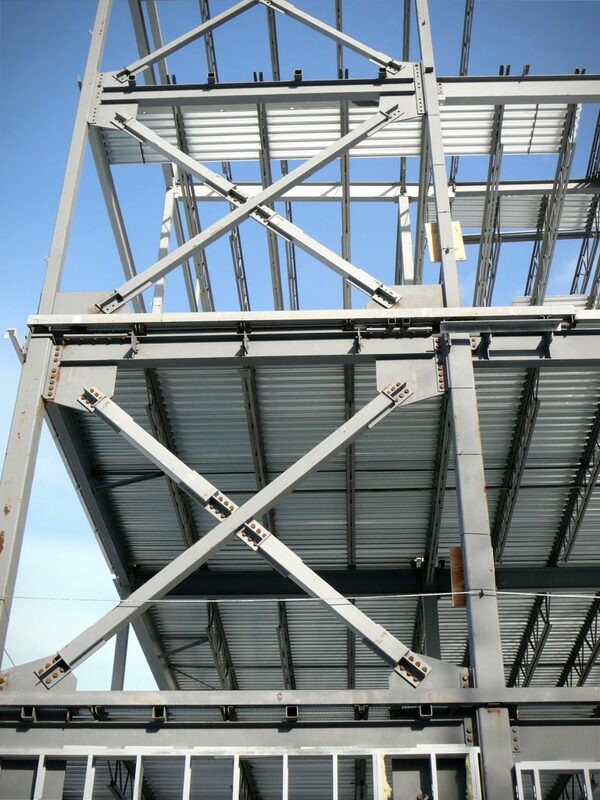 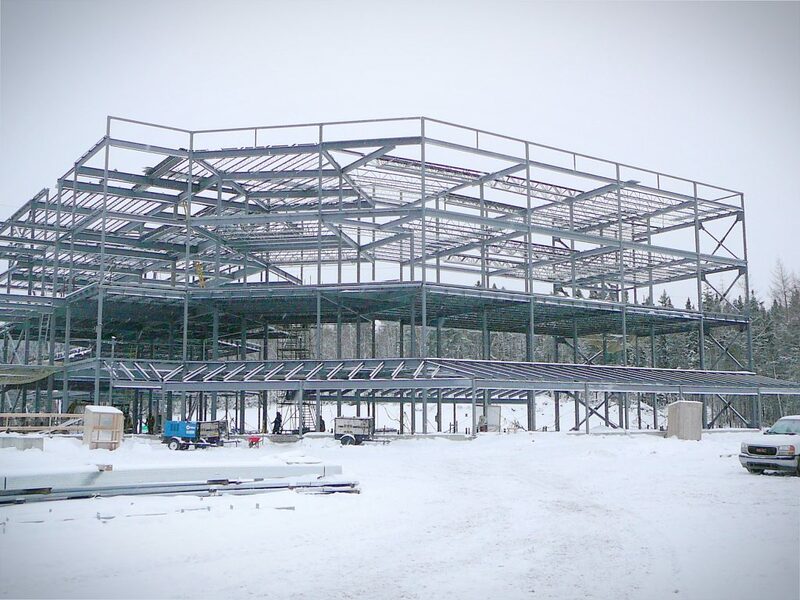 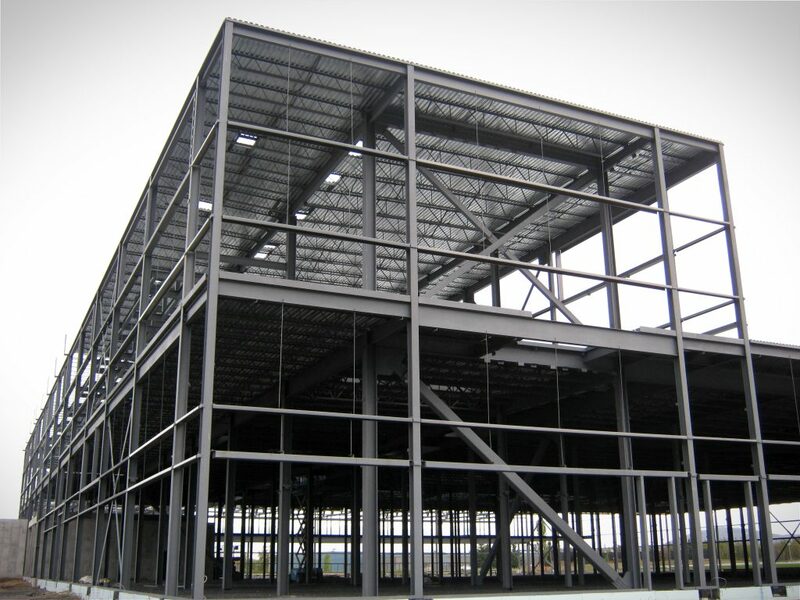 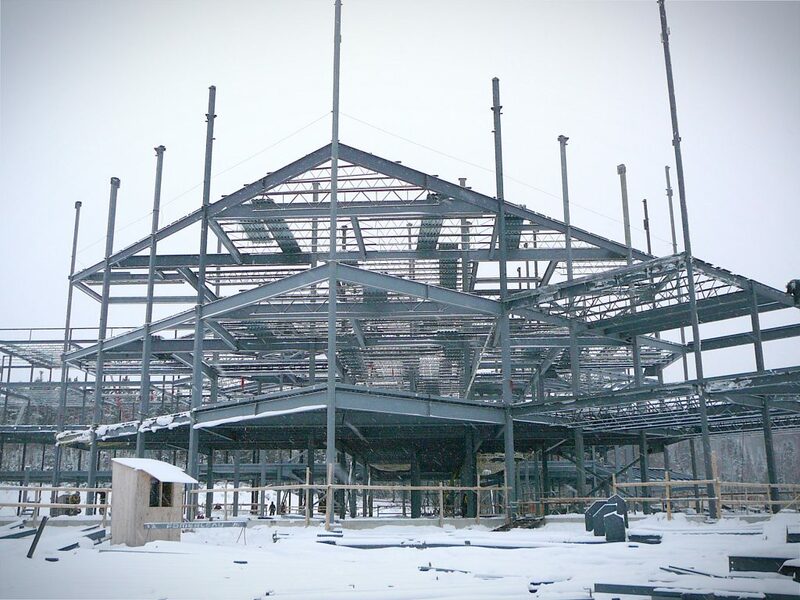 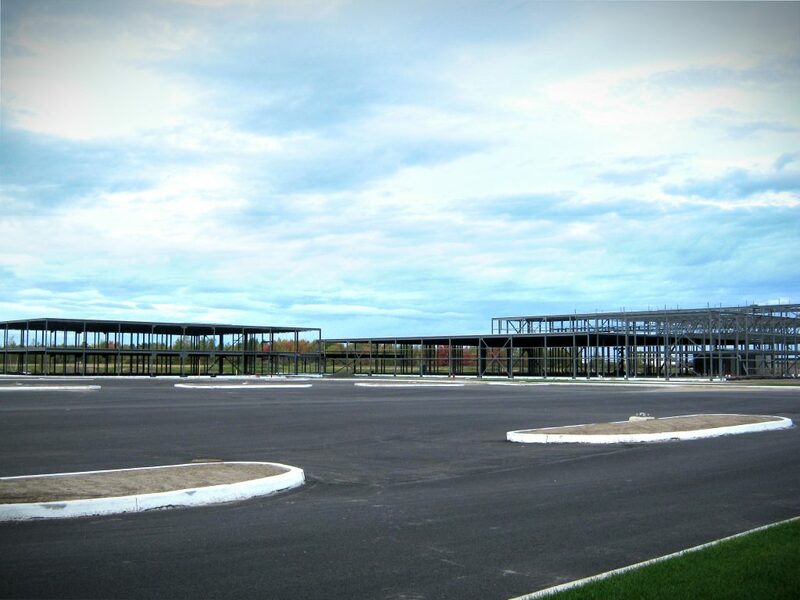 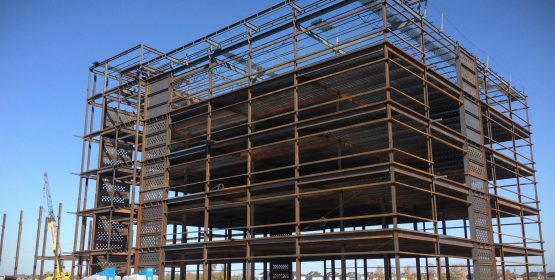 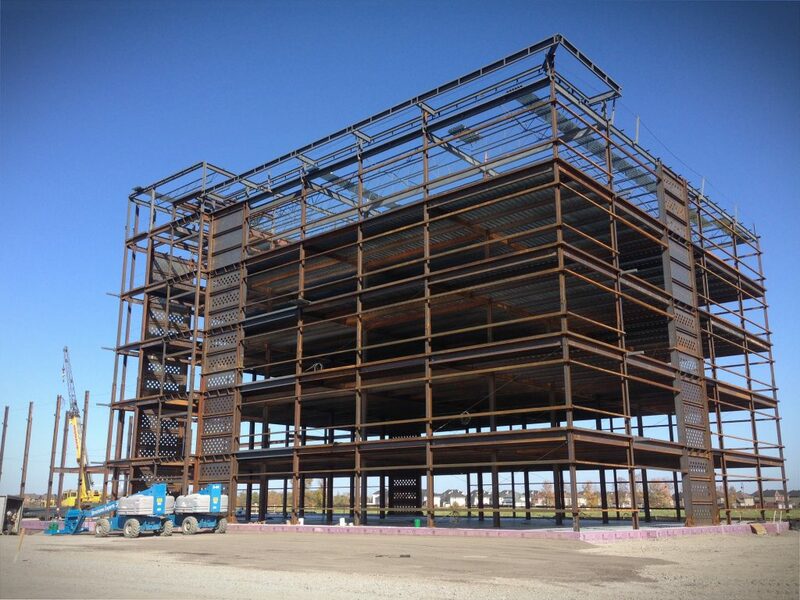 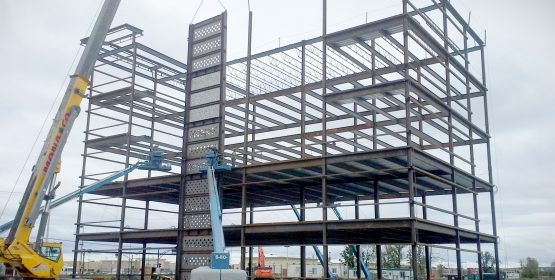 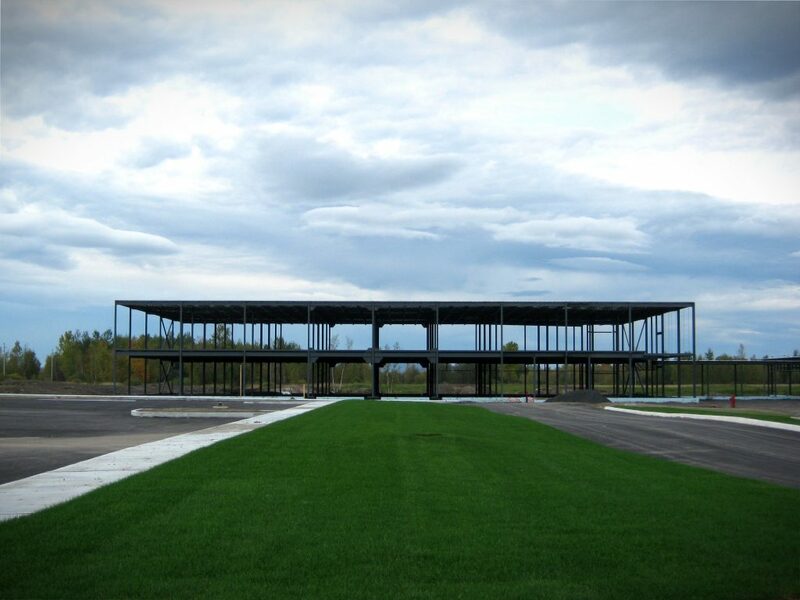 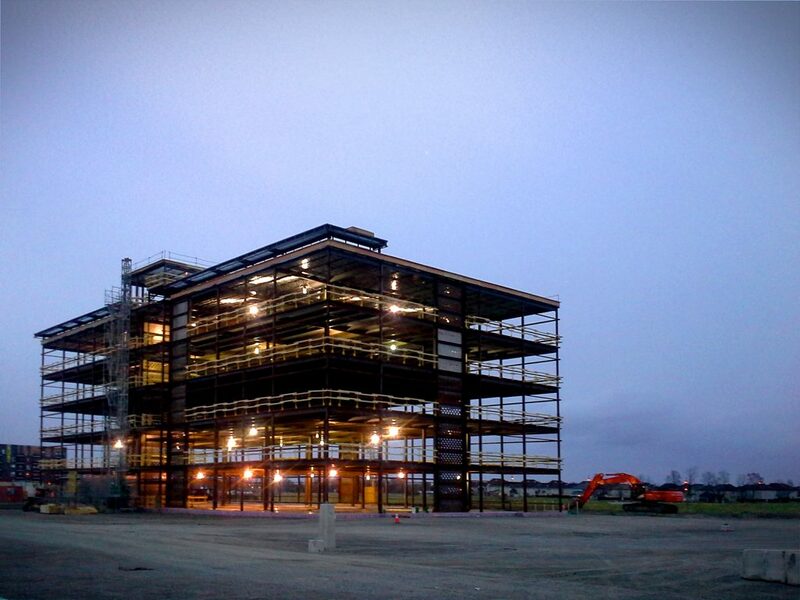 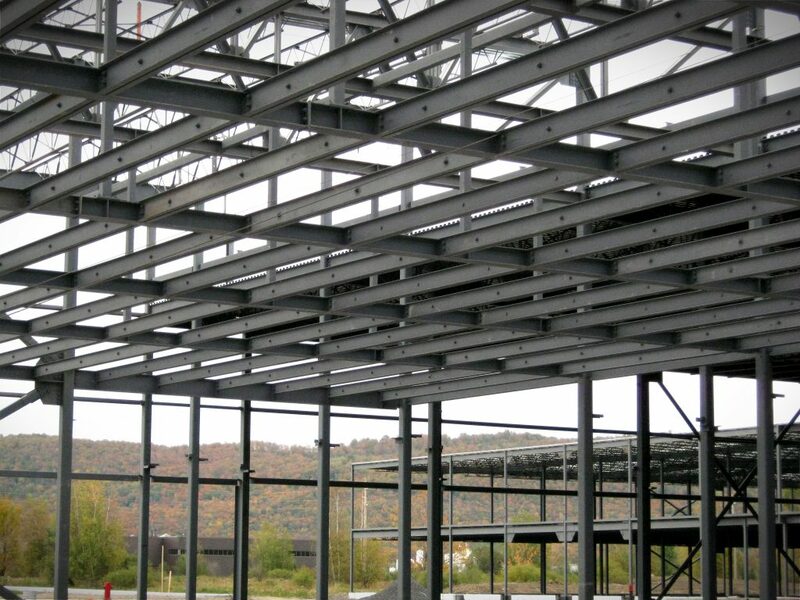 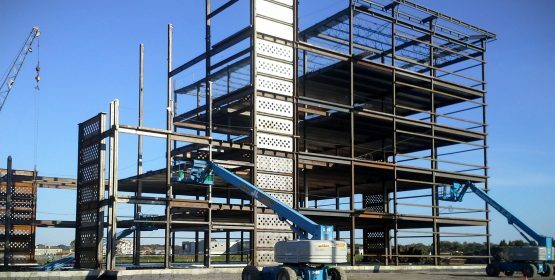 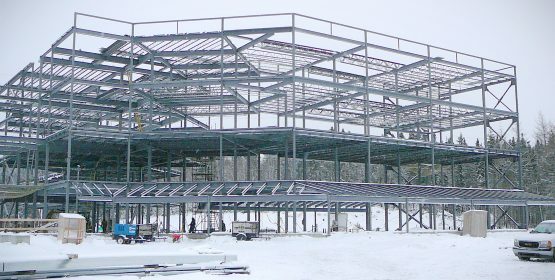 Lainco distinguished itself in the design of this building by using a perforated steel ductile shear wall system, where its only other use in America was for the Pierre-Brault complex, another fine achievement by Lainco. 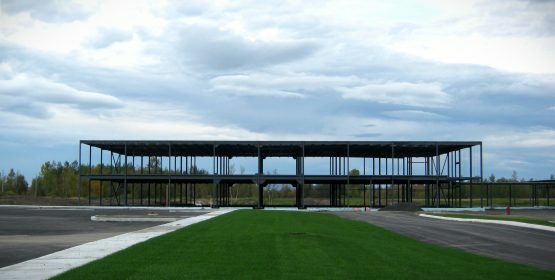 This pioneer concept allowed us to avoid the use of braces in the multi-tiered part of the complex, thus granting the architectural freedom desired by the architect. 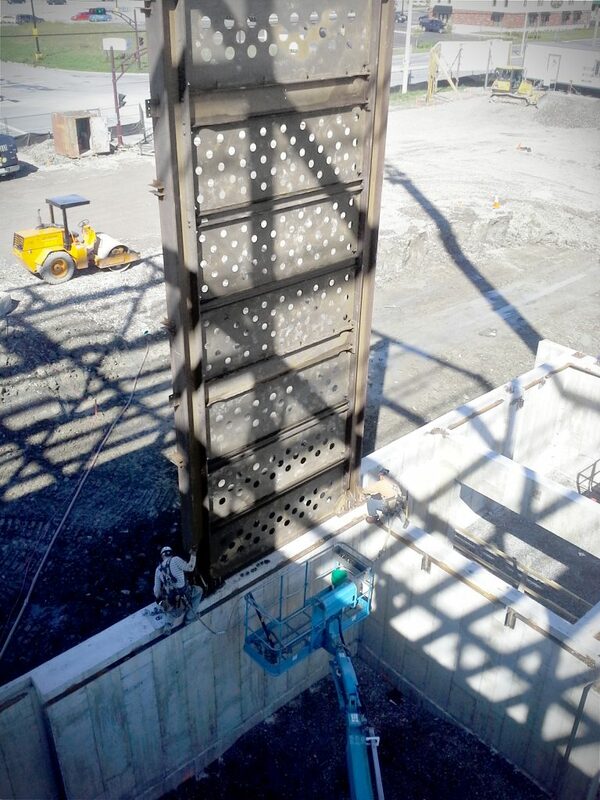 In addition, this system significantly reduces ground footings compared to traditional construction. 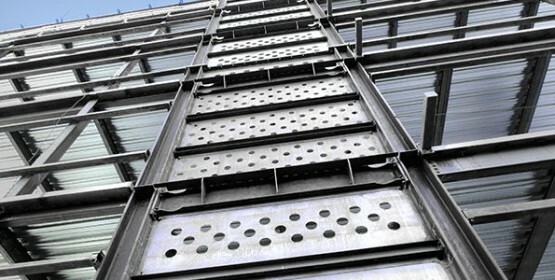 A concept of mixed steel beams which act in symbiosis with the concrete slab was also used on this project. 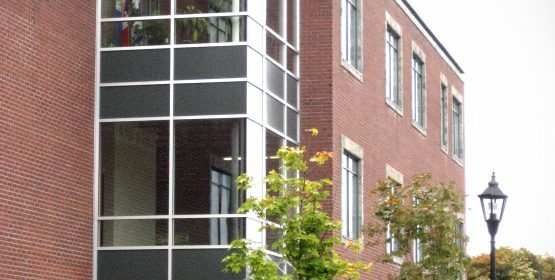 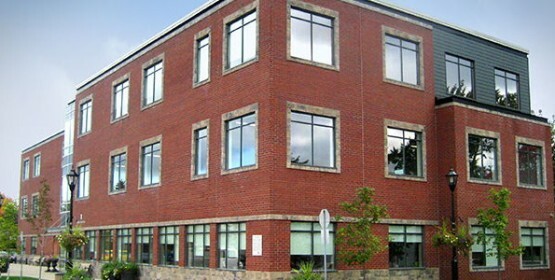 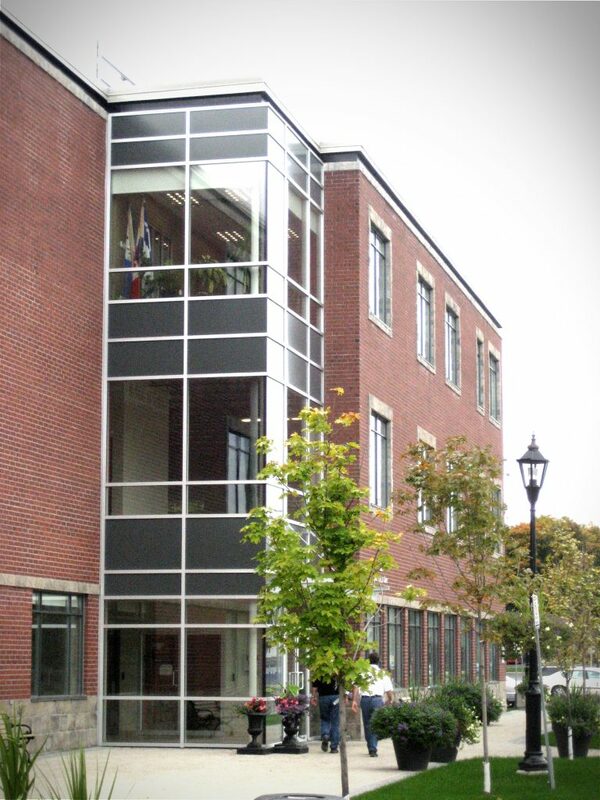 This 32 400 square-foot, three storey institutional building was designed for the city of St-Eustache to house administrative spaces for the municipality, the centralized 911 service for the region as well as multi-professional rental spaces such as clinics and offices. 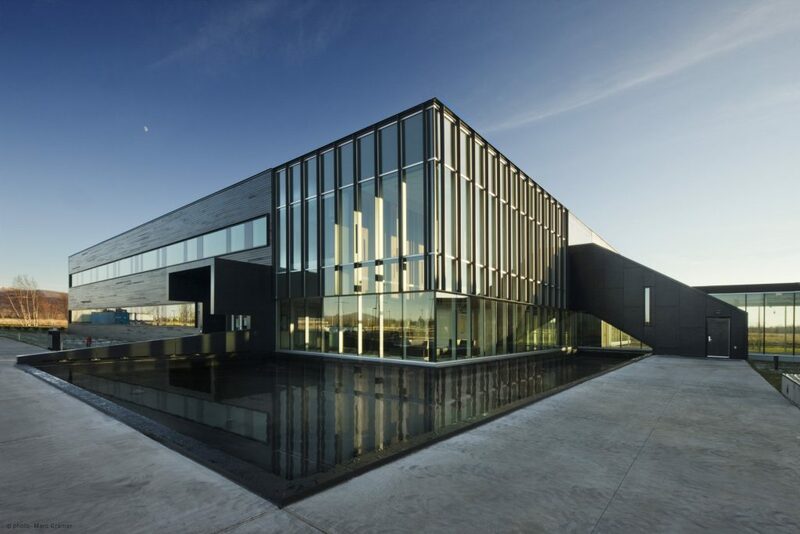 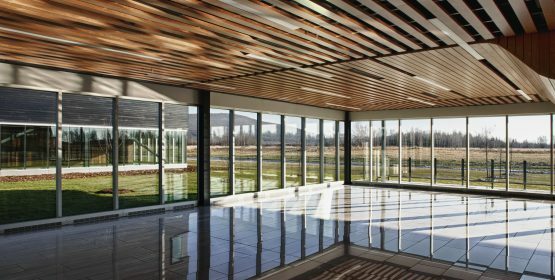 The MiQro Innovation Center located in Bromont consists of two buildings: a two-storey building for the administrative offices and a research laboratory. 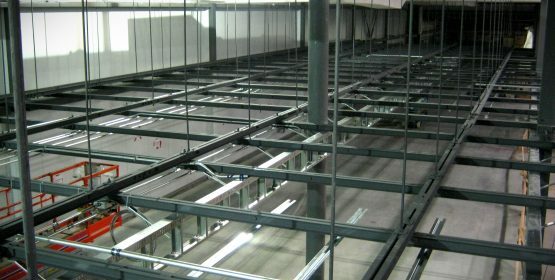 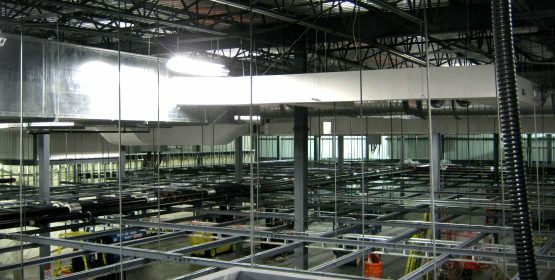 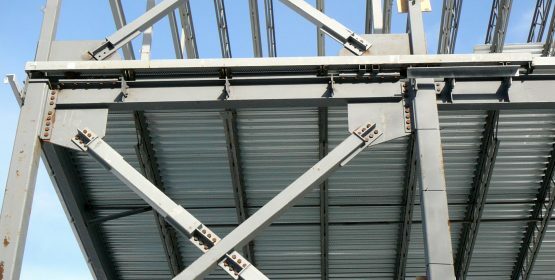 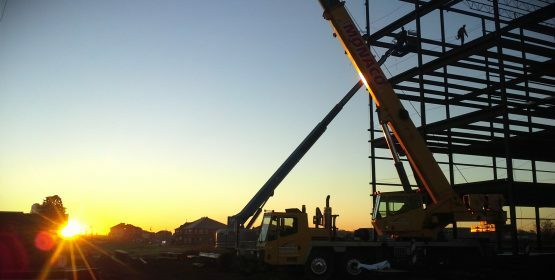 The latter includes, among other things, a substructure allowing the installation of the complex mechanical and plumbing systems required for this type of installation. 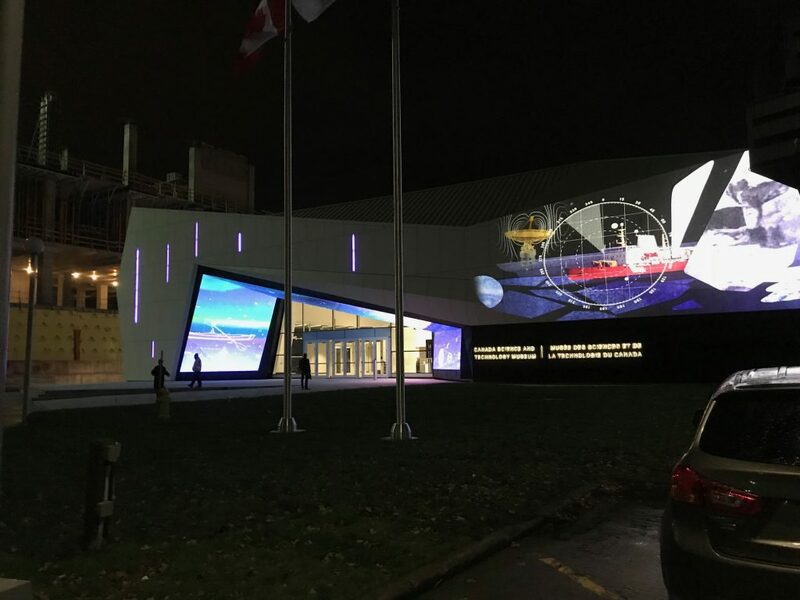 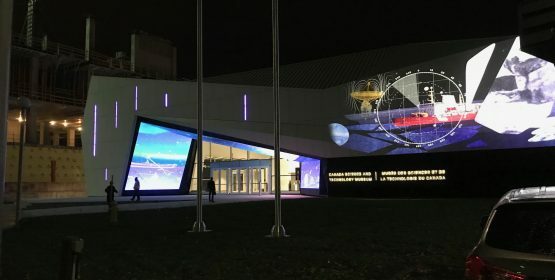 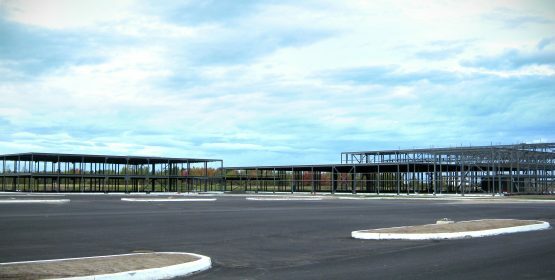 Following the September 2014 emergency closure of the Canada Science and Technology Museum in Ottawa due to the discovery of mold, a plan was adopted by the Canada Science and Technology Museums Corporation to renovate the existing building and, by the same token, remedy structural problems by bringing them up to standard. 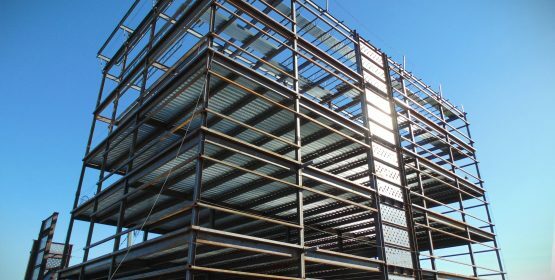 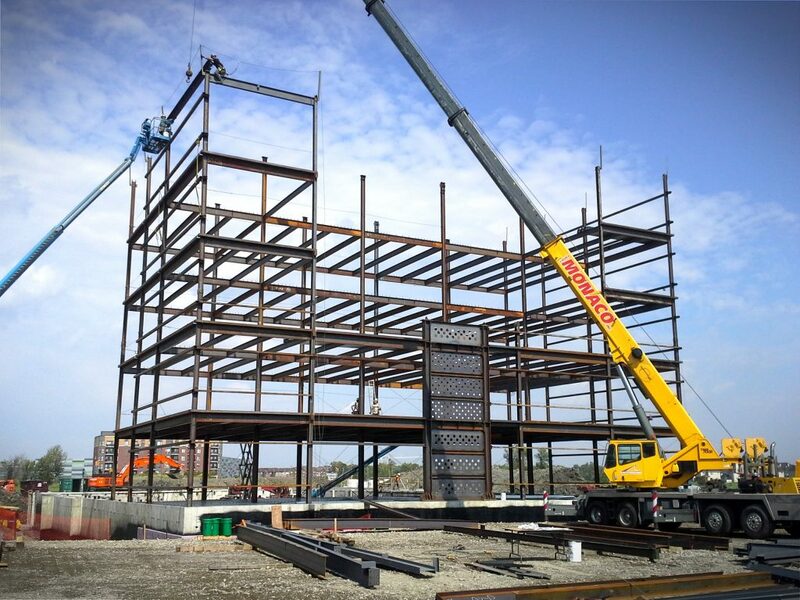 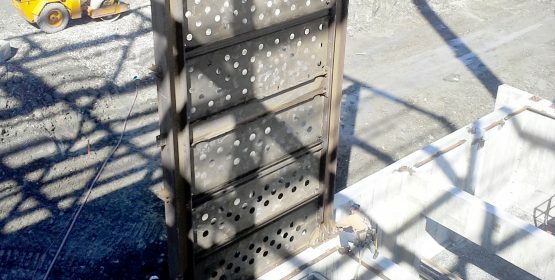 Lainco participated in the project by supplying and installing the new metal structure, in addition to carrying out many structural reinforcements in the existing part that has been preserved (mainly concrete structure, as well as some of the columns and some girders). 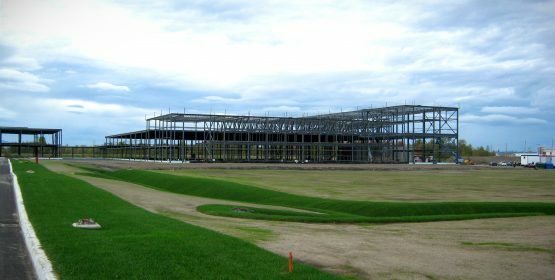 We are particularly proud to have participated in the construction of the new main entrance, consisting of several complex structural farms. 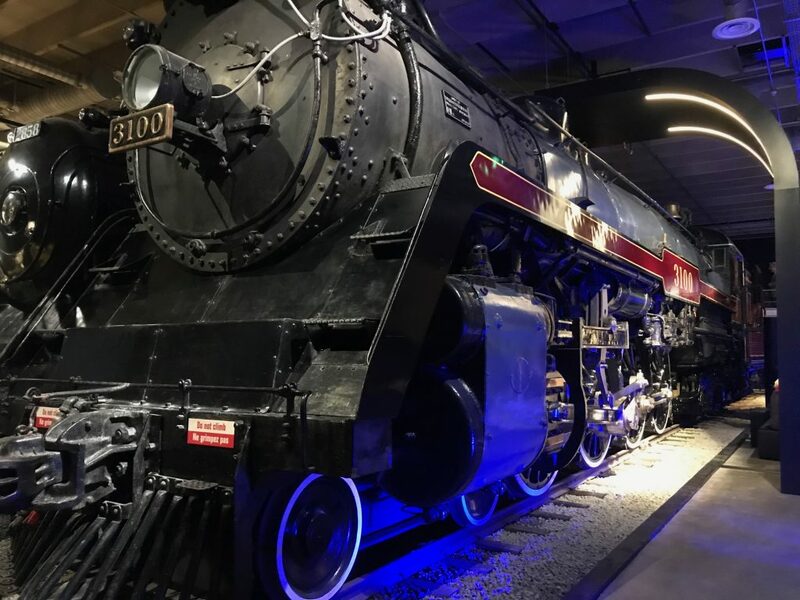 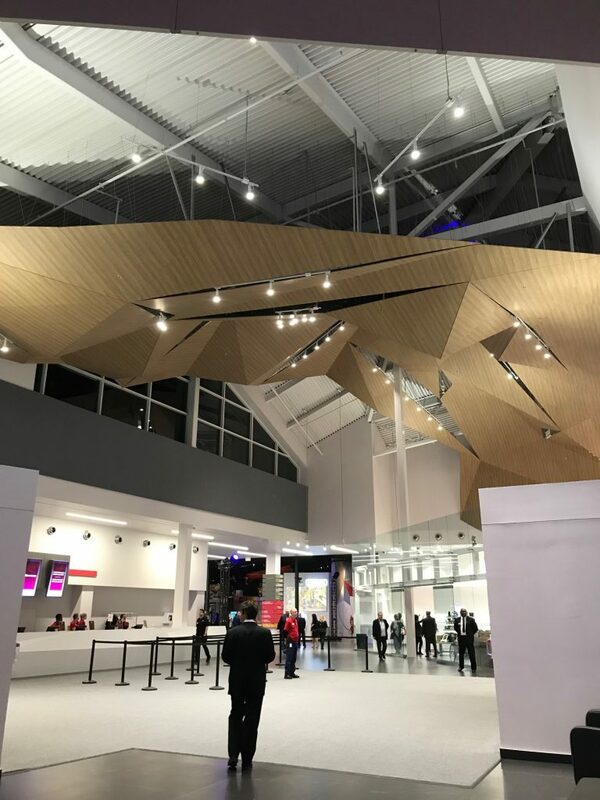 Thanks to these major renovations and, in particular, to the new exhibition area consisting of 5 galleries around a circular hall, visitors now benefit from an enhanced experience at the Museum. 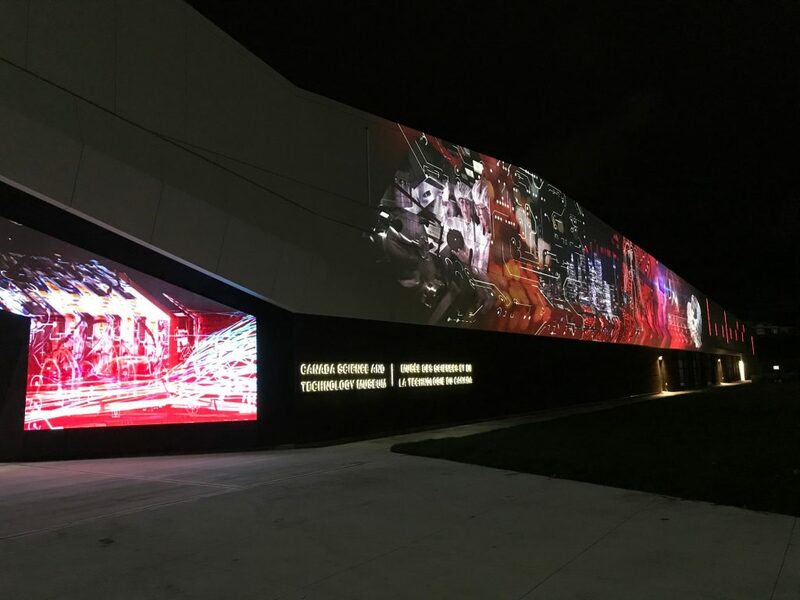 It is easier to navigate, allowing you to take full advantage of new digital tools and interactive installations. 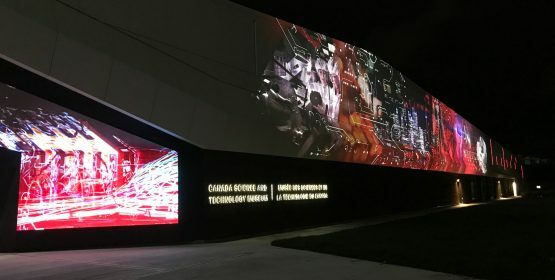 In addition to the galleries, the Museum now has a demonstration stage, a cafeteria, a corner dedicated to creators as well as rooms for classes and conferences. 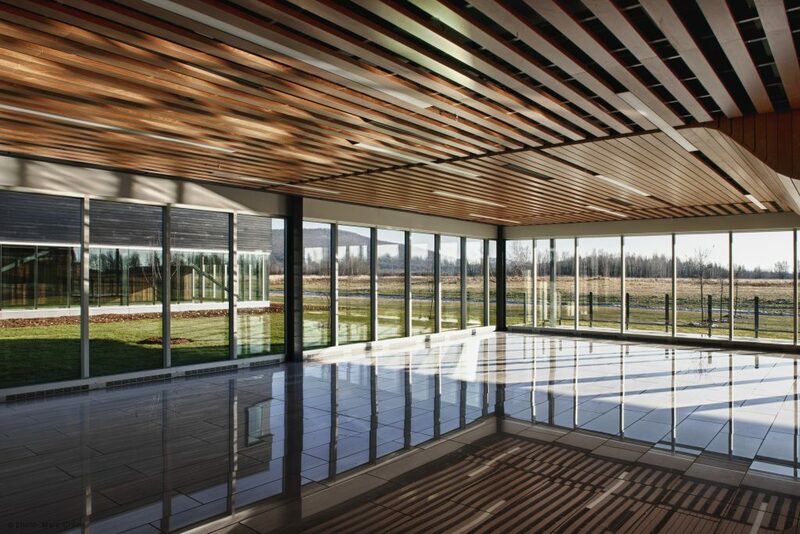 A sixth gallery in the form of a corridor presents a multitude of artifacts. 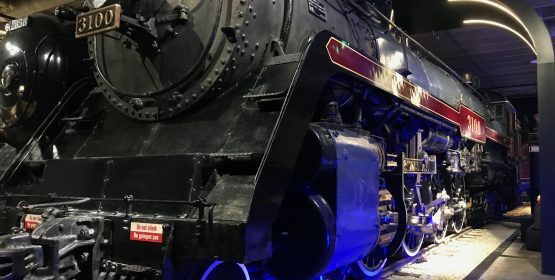 Finally, despite these many changes, the locomotives of yesterday and the “bizarre cuisine” are back.